View LIVE School Board meetings throughout the school year on the first and third Wednesdays of each month at 7:00 p.m. The meetings are re-aired on Mondays, Wednesdays, Fridays, and Saturdays at 11:00 a.m. and Wednesdays, Saturdays and Sundays at 6:00 p.m. Keep informed on school division policies by watching School Board meetings from the comfort of your own home. 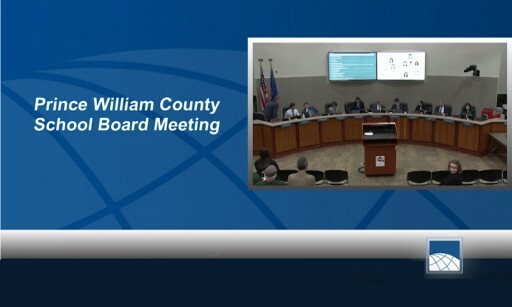 PWCS archives and makes available all recorded public School Board meetings from the current and preceding school year. If you use assistive technology (such as a screen reader, eye tracking device, voice recognition software, etc.) or are a person with another disability and have difficulty accessing information on our website, contact us at webmaster@pwcs.edu or 703.791.8147.